Watch Censored News video interviews with students below! TUCSON -- After battling the sun and heat, I am happy to report it has won. It should just take what it wants. Southern Arizona was never meant to be watered. Dodging the torturer, I duck inside the icy cold downtown Tucson library and scrounge for banned authors. Semi-conscious from heatstroke, I stumble around and find Simon Ortiz. He is not banned by Tucson public schools, but he should be. He deserves to be. I pick up “Out There Somewhere,” a book of poetry by Simon Ortiz of Acoma Pueblo, and search for something to show you just why he should be banned. He’s too good of a writer not to be. A little purple marker in the book says, “Local Poet.” This is the Simon who marched with white crosses in the streets of Tucson, with the names of Zapatistas massacred in Acteal, Chiapas. It is not raining in Tucson for days. This is the monsoon season. The rain comes as a blessing and a sorcerer. It pours down, running off the sun-baked earth. It rushes into the washes and carries you away, but it does not rain for days. The monsoon rains tease you, taunt you, and leave you begging for more. Meanwhile, on this shelf of local authors, I find Demetria Martinez, who definitely should be banned. Demetria is the award-winning author of “Mother Tongue.” The book was written after she was arrested on the border. Facing a 25 year prison sentence for smuggling migrants across the border, she was acquitted as a journalist on First Amendment grounds. Nestled near Simon’s book of poetry, is Demetria’s “The Devil’s Works.” Now, really, what would be a better book to ban than this one, by a local award-winning author, who has carved her mark into border history. In “Mother Tongue,” Demetria reveals the torture in Central America carried out by the US trained Latin American military leaders. Those fleeing torture and assassinations came north on the underground railroad, across the border and through Tucson in the 1970s and 1980s. 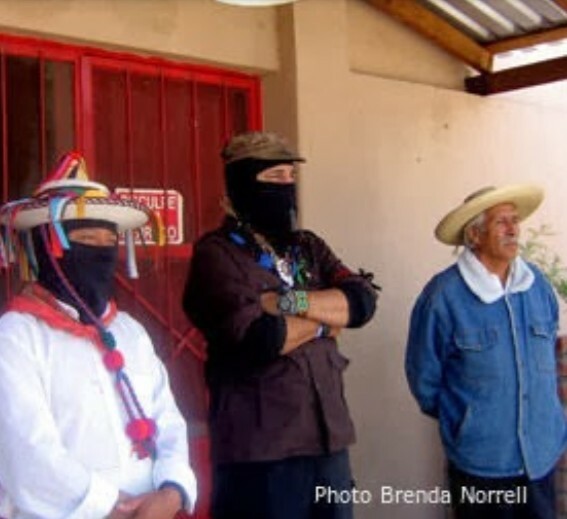 Many were Indigenous Peoples fighting to protect their families, their villages, their homeland, and marked for death. This underground railroad was the Sanctuary Movement. Now, at this point in the library, I search out “Rethinking Columbus, The Next 500 Years,” which was among the original seven naughty books banned by Tucson Unified School District. The collection of dozens of Native American authors in “Rethinking Columbus,” includes Buffy Sainte Marie, Winona LaDuke and Leonard Peltier. Eventually, dozens of books were banned by Arizona’s Nazi-style school officials, after they decided to forbid Mexican American Studies in Tucson in January. The banned authors include Native American author Sherman Alexie, Spokane/Coeur d'Alene and an award winning novelist, and Ofelia Zepeda, an O’odham poet and professor at the University of Arizona in Tucson. Books by Roberto Rodriguez, Mexican American Studies professor at the University of Arizona, were also banned, along with many of the nation's leading Chicano and Latino authors. Well, sadly, “Rethinking Columbus” is still checked out and on hold at the Tucson public library. Over at Tucson public schools, the book was sentenced to the dark hole. It was among those books extracted from the Mexican American Studies classrooms and placed on the cart, doomed for the “depository." At the downtown library, on the shelf of local poets, I spot Edward Abbey. Apparently, he didn’t even make it in the door to get banned at Tucson schools. Oh, the trickster, in this desert heat, has unleashed this genesis, this seed of the wild writer’s mind. Nearby in the library, a hiking magazine is trying to seduce me with a photo of Montana. Sincerely, I want to be there, in that lake at Glacier. The trickster, however, always brings me here, to the Sonoran Desert, to be barbecued in summer. Still scrounging for those banned authors, at a friend’s home in a stack of magazines, alas I find Luis. Meanwhile, I remember the time Abbey walked through my front door. Abbey arrived in a stack of used paperbacks years ago, which I bought to read during heavy snows in my log cabin in the Chuska Mountains on Navajoland. Abbey introduced me to the machinations of Peabody’s coal mining, the monster gouging out Black Mesa, drinking its water, devouring it, a few mountain ridges away. Now, Luis’ writing about Abbey makes it obvious why Luis was banned by Tucson public schools. 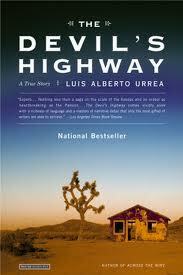 Luis is the Pulitzer Prize finalist and author of “The Devil’s Highway,” non-fiction about migrants lost in the Arizona desert. Luis, featured author at this year’s Tucson Book Festival, is just too great of a writer not to be banned. Good thing they got him. After scribbling this with a pencil stub on scrap paper, I dash off to the best Sonoran style taco place in town, for a carne asado taco with charred scallions, grilled jalapenos and fresh avocado cream. If you don’t know where it is -- I’m not telling. Brenda Norrell, a journalist of Native American news for 30 years, has written for Navajo Times, AP and USA Today. After being censored and then terminated as a longtime staff reporter for Indian Country Today, she created Censored News in 2006. After living on the Navajo Nation for 18 years, she moved to Tucson. For permission to repost this article in full: brendanorrell@gmail.com, or feel free to share the link. The American Vision (2008) by J. Appleby et el. Culture Clash: Life, Death and Revolutionary Comedy (1998) by R. Montoya et al. Cantos Al Sexto Sol: An Anthology of Aztlanahuac Writing (2003) by C. García-Camarilo et al. Saving Our Schools: The Case for Public Education, Saying No to "No Child Left Behind" (2004) by Goodman et al.